Before :- Satish Kumar Mittal, J. For the Petitioner :- Mr. P.S. Hundal, Advocate. For the Respondent :- Mr. Rajinder Singh, AAG, Punjab. Satish Kumar Mittal, J. - In this petition, the questions that arise for consideration are whether the power of the Judicial Magistrate under Section 190 of the Code of Criminal Procedure (hereinafter referred to as 'the Code') can be exercised or survive after taking cognizance of an offence and after recording of some prosecution evidence, irrespective of the power under Section 319 of the Code, for summoning a new person to proceed against him on the basis of the material submitted by the police in its final report under Section 173 of the Code; and secondly whether at the stage when some evidence has been recorded during the course of trial, charge can be framed against the additional accused only on the basis of material and documents enclosed by the police with the final report submitted under section 173 of the Code. 2. The factual matrix giving rise to the aforesaid questions, in brief, is that FIR No. 5 dated 13.2.1998 was registered against one Varun Bajaj under Sections 420, 467, 468, 471 and 474 I.P.C. on the allegation that he had got employment as Ayurvedic Medical Officer by submitting a forged medical certificate purported to have been issued by the Chief Medical Officer, Civil Hospital, Jalalabad to the effect that he was a handicapped person and his left leg was short. Later on, it came to the notice of the authorities that the aforesaid Varun Bajaj was not a handicapped person and the medical certificate issued to him was a fabricated document. 3. During the investigation of the aforesaid FIR, at one stage, it came to the notice of the Investigating Officer that the petitioner Rohin Kumar Sachdeva was also involved in the issuance of forged medical certificate. It came in the statements of Puja Negi, Raj Kumar Bajaj and Pardeep Kumar Bajaj and others recorded under Section 161 of the Code that it was the petitioner Rohin Kumar Sachedeva who had got illegal gratification from Varun Bajaj, Kavita Garg and others in getting employment and had obtained signatures of the concerned applicants on blank papers. But, during the course of detailed investigation, the petitioner Rohin Kumar Sachdeva was found innocent by the police, and was kept in column No. 2 in the final report under Section 173 of the Code to the Court. The challan was only filed against accused Varun Bajaj under Sections 467, 468, 471, 474 read with Section 120-B I.P.C. 4. On submission of the charge-sheet, the Judicial Magistrate Ist Class, Ferozepur took cognizance of the offence. At that point of time, the prosecution did not raise any contention to summon the petitioner as an accused under Section 190(1)(b) of the Code on the basis of the material collected and annexed with the police report by the investigating agency. 5. After taking cognizance of the alleged offence, the learned Judicial Magistrate framed the charge against the accused Varun Bajaj vide order dated 29.9.2000. Thereafter, the prosecution examined six witnesses up to 1.3.2002. But all those six witnesses did not utter a word against the petitioner or about his involvement in the crime or in the offence. Even his name was not referred by any of the witnesses in their depositions before the court. 6. At that stage of the trial, the prosecution moved an application under Section 190(1) of the Code before the trial Court for summoning of the petitioner to stand trial. In the application, it was mentioned that some of the witnesses or persons while getting their statements recorded under Section 161 of the Code had stated about the involvement of the petitioner in the offence. Therefore, his summoning as an accused was essential. The said application of the prosecution was allowed by the learned Chief Judicial Magistrate vide its order dated 8.10.2002 while observing that after going through the material or record i.e. statements of Raj Kumar Bajaj and Pardeep Kumar Bajaj recorded on 18.6.1998 by the Inspector, Vigilance Bureau and the statement of Puja Negi recorded on 10.6.1998, it prima facie appears that the petitioner had also committed the alleged offence punishable under Sections 420, 467, 468, 471 and 474 I.P.C. Therefore, there are sufficient grounds to proceed against him for the said offence. 7. The aforesaid summoning order of the petitioner under Section 190 of the Code was challenged by the petitioner by filing a Criminal Revision. The said revision was dismissed by the learned Sessions Judge vide order dated 8.5.2003 on the ground of its non-maintainability against the interim order of summoning. However, the petitioner was given liberty to raise all the points, raised in that revision petition, before the trial Court at the time of the framing of the charge. Subsequently, at the stage of framing of the charge, the petitioner raised the objection that during the police investigation, the petitioner was found innocent as no incriminating evidence was found against him. He submitted that when the final report was submitted and the Judicial Magistrate took cognizance of the matter, he was not summoned as the material at that time was not sufficient for his summoning. At a later stage, after examination of some of the prosecution witnesses, the petitioner could not have been summoned under Section 190(1) of the Code and he can only be summoned under Section 319 of the Code on the basis of the evidence led by the prosecution during the course of trial. He submitted that none of the prosecution witnesses examined before the Court had deposed against him and alleged for his involvement in the crime. Now, at the stage of trial, the petitioner could not have been summoned under Section 190(1) of the Code on the basis of the statement of 3/4 persons recorded during the investigation under Section 161 of the Code. The said material was available at the time of taking cognizance of the offence by the Judicial Magistrate and once the Judicial Magistrate did not summon the petitioner at that stage on the basis of the said material, he cannot now be summoned under Section 190(1) of the Code. This action of the Judicial Magistrate would amount to review of his earlier order which was not permissible under the Code. 8. But the learned Judicial Magistrate, without specifically dealing with the arguments raised by the counsel for the petitioner, ordered for framing of the charge against him while holding that the material on the record (statements of witnesses recorded during the police investigation under Section 161 of the Code) was prima facie sufficient for framing the charge against the petitioner under Sections 420, 467, 468, 474 read with Section 120-B I.P.C. Accordingly, charge was framed against him under the aforesaid Sections. 9. The petitioner challenged the order of charge and charge framed by the Judicial Magistrate by filing Criminal Revision before the Additional Sessions Judge. In that revision, the petitioner raised all the aforesaid submissions. The learned Additional Sessions Judge, Ferozepur vide his order dated 27.9.2003 partly accepted the said revision while holding that the material collected during the investigation which was annexed with the final report submitted (by) the police under Section 173 of the Code was sufficient and prima facie disclosing the alleged offence for which the trial Court has rightly ordered for framing the charge against the petitioner. However, the learned Additional Sessions Judge has not considered the question of law raised by the petitioner that at that stage of the trial when the Judicial Magistrate has already taken cognizance of the matter and subsequently even the prosecution led evidence, the petitioner could not have been summoned under Section 190(1) of the Code though he could have been summoned under Section 319 of the Code on the basis of the evidence collected during the trial. Hence, this petition. 10. Shri P.S. Hundal, learned counsel for the petitioner submitted that the petitioner was found innocent during the police investigation. He was not found involved in the alleged offence and he was kept in column No. 2 when the final report was submitted by the police under Section 173 of the Code. On considering the final report of the police and the material, including the statements of various persons recorded under Section 161 of the Code, the Judicial Magistrate decided to take cognizance of the offence alleged to have been committed by Varun Bajaj. At that point of time, the petitioner was not summoned to face the trial. Subsequently, the Judicial Magistrate also framed charge against the principal accused Varun Bajaj. Subsequent thereto, the prosecution examined six witnesses and none of the prosecution witnesses named the petitioner being involved in the offence. In view of this factual position, the learned counsel stated that at that stage of the trial the Judicial Magistrate could not have summoned the petitioner on the application filed by the prosecution under Section 190(1) of the Code. That stage was not the stage where a person who was found innocent during investigation and who was kept in column No. 2 in the final report, can be summoned by the Judicial Magistrate under Section 190(1) of the Code. After taking of the cognizance of the offence and particularly after recording of the evidence by the prosecution, the Judicial Magistrate could not have summoned a person as an additional accused under Section 190 of the Code. 11. Learned counsel for the petitioner further argued that the petitioner was summoned by the Judicial Magistrate on the application filed by the prosecution under Section 190(1) of the Code and the learned Judicial Magistrate summoned the petitioner on the basis of the material, that is, the statements of various witnesses, recorded under Section 161 of the Code during the police investigation. He submitted that on the basis of the said material, the petitioner could not have been summoned at a stage when the court has actually recorded some evidence and which was not against him. Learned counsel for the petitioner also submitted that when the very summoning of the petitioner in the instant case was illegal and invalid, then the subsequent proceedings including framing of charge against the petitioner is of no consequence and those proceedings are also liable to be set aside. Therefore, the order of framing the charge is also liable to be quashed. In support of his contention, learned counsel for the petitioner relied upon a decision of the Andhra Pradesh High Court in R.C. Kumar and others v. State of Andhra Pradesh and another, 1991 Cri.L.J. 887. 12. On the other hand, learned counsel for the respondent-State argued that the Court has ample power under Section 190 of the Code to summon a person as an accused to face the trial at any stage of the trial. This power can be exercised by the Court at any stage of the trial whether at the time of taking cognizance of the offence or subsequent thereafter. If the Court at any stage of the trial, on the basis of the material, brought before it, comes to the conclusion that any person has committed the offence, he can be summoned under Section 190 of the Code irrespective of the fact that the stage contemplated by Section 319 of the Code has arrived or not. Learned counsel for the respondent submitted that the power of the Court for summoning of the accused under Section 190 of the Code is much wider than the power of the Court to summon an additional accused under Section 319 of the Code. In support of his contention, learned counsel for the respondent-State relied upon the decision of the Hon'ble Supreme Court in SWIL Ltd. v. State of Delhi, 2001(3) RCR(Crl.) 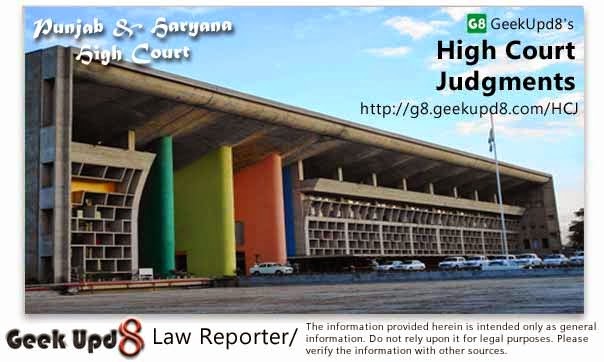 826 (SC) : (2001) 6 SCC 670 and Kishun Singh v. State of Bihar, 1993(1) RCR(Crl.) 647 (SC) : (1993) 2 SCC 16. (c) on receipt of information from any person other than a police officer, or upon his own knowledge, that an offence has been committed. 14. On receipt of a police report under Section 173 of the Code, the Magistrate has to apply his judicial mind to the report and the material filed along with it. If he finds out that there is sufficient material to constitute an offence, he will take cognizance of the same. At that point of time, it is always open to the Magistrate to take cognizance of the offence against all the accused arrayed in the charge-sheet. He can also take cognizance of the offence against a person who has been put in column No. 2 by the police, or he can take cognizance of the offence against a person who is even not sent up as an accused by the police in its report. Such person can be ordered to be impleaded as an accused at the time of cognizance of the offence under Section 190 of the Code. Any person aggrieved against whom the Magistrate has decided to take cognizance has right to challenge the said order in revision. In cases where the offence is one which is triable by the Court of Sessions, the Magistrate may take cognizance of the offence under Section 190 of the Code and thereafter commit to the Court of Session under Section 209 of the Code. After its committal, the court of session can take cognizance of the offence under Section 193 of the Code as a court of original jurisdiction. The position was different prior to the amendment of the Code. Under the old Code, the Court of Session was precluded from taking cognizance of any offence as a court of original jurisdiction unless the accused was committed to it whereas under the present Code the embargo is diluted by the replacement of the words 'the accused' by the words 'the case'. Thus, from the plain reading of Section 193 of the Code, as it presently stands, once the case is committed under Section 209 of the Code to the Court of Session by the Magistrate, the restriction placed on the power of the Court of Session to take cognizance of an offence as a court of original jurisdiction gets lifted thereby investing the Court of Session complete and unfettered jurisdiction of the court of original jurisdiction to take cognizance of the offence which would include the summoning of the person or persons whose complicity in the commission of the crime can prima facie be gathered from the material available on the record, as held by the Hon'ble Supreme Court in Kishun Singh's case (supra). 15. Once the Court takes cognizance of the offence, it becomes the duty of the Court to find out the real offenders and if it comes to the conclusion that besides the persons put up for the trial by the police some others are also involved in the commission of the crime, it is the duty of the Court to summon those persons to stand trial along with those already named, since summoning them would only be a part of the process of taking cognizance. Where the complaint is made by a private party, the Magistrate shall follow the procedure as envisaged by Section 202 read with Section 204 of the Code. If the Magistrate so thinks it proper he can direct investigation by the police under Section 156(3) of the Code in the private complaint. Thus, at the time of taking cognizance of the offence itself, the Magistrate applies its mind to the entire material available before him. 16. Then the stage came for discharging the accused or for framing of charge against whom the offence has been taken cognizance under Section 239 of the Code, on a consideration of the police report and the documents sent with it under Section 173 of the Code. At that stage, if the Magistrate after providing an opportunity of hearing to the accused and after examining the material considers the charge against the accused to be groundless, then he shall discharge the accused after recording reasons whereas in case he considers on the aforesaid examination that prima facie the accused has committed an offence triable by him, he shall frame a charge against the accused under Section 240 of the Code. Similar provision has been made for the trial of a Sessions Case by a Court of Session under Sections 227 and 228 of the Code. "Power to proceed against other persons appearing to be guilty of offence. (1). Where, in the course of any inquiry into, or trial of an offence, it appears from the evidence that any person not being the accused has committed any offence for which such person could be tried together with the accused, the Court may proceed against such person for the offence which he appears to have committed. (2). Where such person is not attending the Court, he may be arrested or summoned, as the circumstances of the case may require, for the purpose aforesaid. (3). Any person attending the court, although not under arrest or upon a summons, may be detained by such Court for the purpose of the inquiry into, or trial of, the offence which he appears to have committed. (b) subject to the provisions of clause (a), the case may proceed as if such person had been an accused person when the Court took cognizance of the offence upon which the inquiry or trial was commenced." 18. The aforesaid provisions empower the Courts to proceed against any person as an accused not named as such and not present also in the Court subject, of course, to the consideration that it must appear so from the evidence collected during the course of inquiry or trial. Thus, there are two stages under Section 190 of the Code, for the Magistrate to take cognizance of the offence. They are (i) on receipt of the report filed under Section 173(2) of the Code, and (ii) on receipt of a further report filed by the police under Section 173(8) of the Code. At both the stages, it is open to the Magistrate on an application of judicial mind to take cognizance of the offence against all the accused arrayed and against such person or persons not sent up as an accused in the charge-sheet. The third stage where the Magistrate can take cognizance of an offence as envisaged by Section 319 of the Code, against a person or persons not arrayed as an accused, is, in the course of inquiry or trial. 19. Now the question arises, where a Magistrate has not summoned the accused at the first two stages, on the basis of the material supplied by the police along with the final report, particularly, when the said person was put by the police in column No. 2, whether such person can be summoned at the third stage of the trial when the prosecution had already led some evidence particularly not on the basis of the evidence collected during the trial but on the basis of the material supplied or annexed with the police report. "29. From the case-law noted supra, it is manifest that the Court while taking cognizance of the offence under section 190, Cr.P.C. has to first apply its judicial mind to the charge-sheet and the material filed along with it under section 173 Cr.P.C. so as to find out whether the case could be taken cognizance of against all the arrayed accused, and against persons other than those arrayed as accused, and would act accordingly. On account of this judicial function, if any party is aggrieved the remedy open is a revision. When once the proceedings cross the stage of Section 190, Cr.P.C. the trial or committal Court has to necessarily wait till the production of evidence during inquiry or trial and in the meanwhile it has no power to review its order made under section 190, Cr.P.C. in view of the clear bar imposed by Section 362, Cr.P.C. and it is during the course of inquiry of trial if it appears from the evidence that any person not being the accused has committed the offence, it may proceed against such person by exercising the power under section 319 Cr.P.C. Further, the evidence contemplated by Section 319 is not the material envisaged by Sections 173, 227, 228, 239 or 240 since in none of those sections the word 'evidence' is used. Had the Legislature intended the material covered by Sections 173, 227, 228, 239 or 240 to be evidence it would have repeated the terminology used in those provisions and would not have guardedly introduced the word 'evidence' in Section 319, Cr.P.C. Therefore, evidence as contemplated by Section 319, Cr.P.C. cannot be understood to be the material covered by Sections 173, 227, 228, 239 or 240, Cr.P.C. 30. In this view of the matter, the contention of the learned counsel Sri Narasimha Reddy that irrespective of the powers under section 319, Cr.P.C. the powers under section 190, Cr.P.C., survive and therefore even after taking cognizance of an offence new persons can be proceeded against on the basis of the material submitted along the charge-sheet under section 173 Cr.P.C. is devoid of merit, particularly in the face of specific provisions covered by Section 319 Cr.P.C. The powers under section 190, Cr.P.C. cannot be overstretched or permitted to be overlapped on those covered by Section 319, Cr.P.C." 21. So, in the aforesaid Division Bench judgment, it was held that the Magistrate is not empowered to summon a person as an accused after taking cognizance of an offence on the basis of the material submitted along with the police report after crossing the stage for summoning under the said Section and before adducing any evidence by examining any witness or marking any document as an exhibit. "At the stage of taking cognizance of the offence, provisions of Section 190 Cr.P.C. would be applicable. As per this provision, the Magistrate takes cognizance of an offence and not the offender. After taking cognizance of the offence, the Magistrate under Section 204 Cr.P.C. is empowered to issue process to the accused. At the stage of issuing process, it is for the Magistrate to decide whether process should be issued against particular person/persons named in the charge-sheet and also not named therein. For that purpose, he is required to consider the FIR and the statements recorded by the police officer and other documents tendered along with charge-sheet. Further, upon receipt of police report under Section 173(2) Cr.P.C. the magistrate is entitled to take cognizance of an offence under Section 190(1)(b) even if the police report is to the effect that no case is made out against the accused by ignoring the conclusion arrived at by the investigating officer and independently applying his mind to the facts emerging from the investigation by taking into account the statement of the witnesses examined by the police. At this stage, there is no question of application of Section 319 Cr.P.C. That provision would come into operation in the course of any enquiry into or trial of an offence. In the present case, neither the Magistrate was holding enquiry as contemplated under Section 2(g) Cr.P.C. nor had the trial started. He was exercising his jurisdiction under Section 190 by taking cognizance of an offence and issuing process. There is no bar under Section 190 Cr.P.C. that once the process is issued against some accused, on the next date, the Magistrate cannot issue process to some other person against whom there is some material on record, but his name is not included as accused in the charge-sheet." 24. Thus, it is clear that the Magistrate is entitled to take cognizance of an offence under Section 190(1)(b) of the Code even though the police report is to the effect that no case is made out against the accused by ignoring the conclusion arrived at by the Investigating Officer and independently applying his mind to the facts emerging from the investigation by taking into account the statement of the witnesses examined by the police. At that stage, there is no question of application of Section 319 Cr.P.C. That provision would come into operation in the course of any enquiry into or trial. In the aforesaid case, it was not the stage when the Magistrate was either holding the inquiry as contemplated under Section 209 of the Code or the trial had started, therefore, it was held that there is no bar under Section 190 of the Code that when a process is issued against an accused, on the next date, the Magistrate cannot issue process to some other person against whom there is some material on record, but whose name was not included as accused in the charge-sheet. So, as far as the observations made by the Division Bench of the Andhra Pradesh High Court in R.C. Kumar's case (supra), that after taking cognizance of an offence, the Magistrate cannot summon the other accused on the basis of the material submitted along with the police report, can not be accepted in view of the above decision of the Supreme Court. But one fact is very much clear that the power of the Magistrate to summon an additional accused under Section 190 of the Code definitely ends, particulary with the regard to the person mentioned in column No. 2 of the police report with the starting of the stage of recording the evidence during trial. If some evidence is being collected against such an accused during the trial, he can be summoned under Section 319 of the Code, but at that stage of the trial such person cannot be summoned under Section 190 of the Code on the basis of the material placed by the police along with the final report submitted under Section 173 of the Code. In light of the aforesaid legal position, the facts of the present case are to be examined. 25. In the instant case, undisputedly, the petitioner was shown in column No. 2 in the police report submitted under Section 173 of the Code. Thereafter, the J.M.I.C., Ferozepur took cognizance of the offence and issued summons to the accused named in the police report. At that time, the petitioner was not summoned nor any contention was raised by the prosecution to summon him as an accused under Section 190(1)(b) of the Code, on the basis of the material collected and annexed with the police report. Not only that, after taking cognizance of the alleged offence against the named accused, the Judicial Magistrate framed the charge only against accused Varun Bajaj vide order dated 29.9.2000. Thereafter, the prosecution examined six witnesses up to 1.2.2000. None of the six witnesses had uttered a word against the petitioner or involved him in the alleged offence. Even, name of the petitioner was not referred by any of the prosecution witnesses during their depositions before the Court. At that stage of the trial, the application moved by the prosecution under Section 190(1) of the Code for summoning the petitioner to stand trial, in my opinion, should not been entertained by the Magistrate. That was not the stage when the petitioner could have been summoned by the Judicial Magistrate under Section 190(1) of the Code on the basis of the material annexed with the police report. Therefore, the order dated 8.10.2002 passed by the Judicial Magistrate summoning the petitioner as an accused on the basis of the material i.e. statements of Raj Kumar Bajaj and Pardeep Kumar Bajaj and others recorded under Section 161 of the Code on 18.6.1998 by Inspector, Vigilance Bureau and Smt. Puja Negi, recorded on 10.6.1998, was absolutely illegal. Though the said order was challenged by the petitioner in revision but the same was dismissed by the learned Sessions Judge vide order dated 8.5.2003 on the ground of maintainability. However, a liberty was granted to the petitioner to raise the aforesaid legal question at the time of framing of the charge. When the charge against the petitioner was framed by the trial Court, the said question was raised by him, but the same was not considered. Similarly, the learned Sessions Judge while considering the revision against the order of charge also did not consider that question. Even otherwise, the Judicial Magistrate framed the charge against the petitioner on the basis of the material, that is, statements of Raj Kumar Bajaj, Pardeep Kumar Bajaj and others recorded under Section 161 of the Code on 18.6.1998 by the Inspector, Vigilance Bureau, and one Smt. Puja Negi, recorded on 10.6.1998. These statements were considered at the time of taking cognizance and framing of the charge by the Judicial Magistrate. No cognizance was taken against the petitioner. But when some evidence has already been recorded during the course of the trial and if the Court decides to frame the charge against the additional accused, that can only be done on the basis of the material including the evidence collected by the court not otherwise. Thus, in my opinion, that summoning of the petitioner as an additional accused under Section 190(1) of the Code and framing charge against him on the basis of material annexed with the police report, at the stage of the trial, where he could have been summoned only under Section 319, was totally impermissible. In view of the aforesaid, order dated 8.10.2002 (Annexure P-4), summoning the petitioner as an accused, order dated 20.5.2003 (Annexure P-6), framing the charge against the petitioner, charge-sheet (Annexure P-7) and the order dated 27.9.2003 (Annexure P-9) passed by the learned Additional Sessions Judge ordering the learned Chief Judicial Magistrate for framing fresh charge-sheet against the accused/petitioner, are hereby quashed.